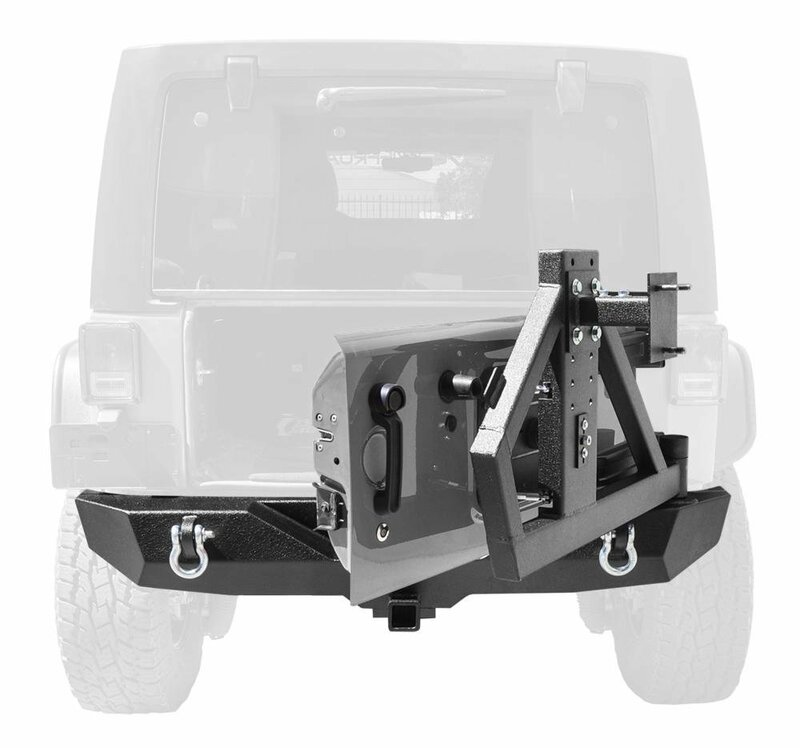 When looking for a new rear bumper to make your Wrangler JK stand out from the crowd you might want to think about one with a tire carrier that you can carry an over sized tire with. DV8's RS-2 Single Action Rear Bumper with Tire Carrier is a perfect combination of rugged looks with off-road functionality. Made from 3/16" & 1/4" cold rolled steel with .120 wall tubing this bumper will stand up to the harsh off-road environments & the single action tire carrier allows you to easily open with one hand. 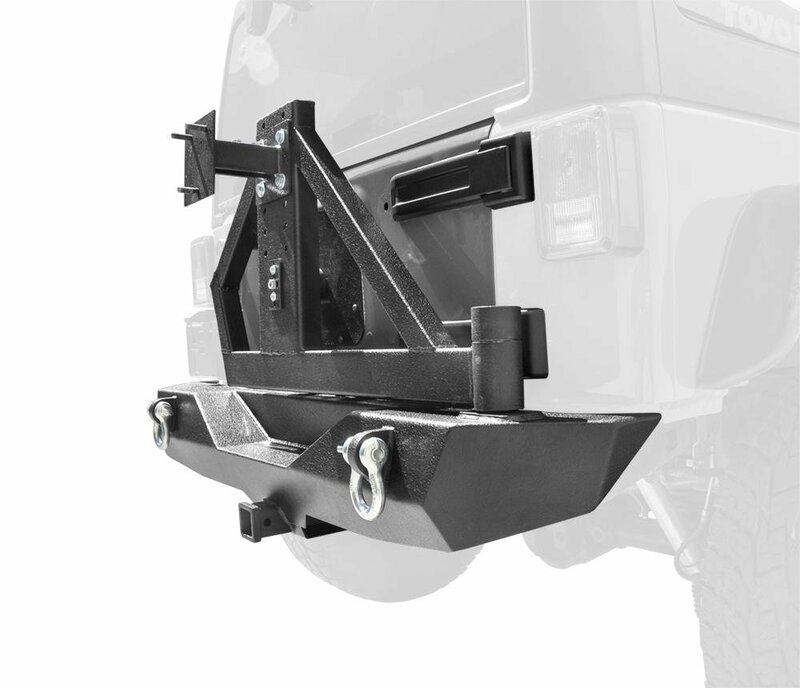 Cold Rolled Steel: Constructed of steel that is compressed and rolled to increase the strength of the steel making this bumper perfect for taking off-road abuse. Single Action Tire Carrier: This tire carrier attaches to the tailgate by way of twin tapered bearings so when you open the tailgate the tire carrier moves as well. Makes for easy one handed use. Design: High degree angles will give you more room when rock climbing along with D-ring mounts as added recovery points. 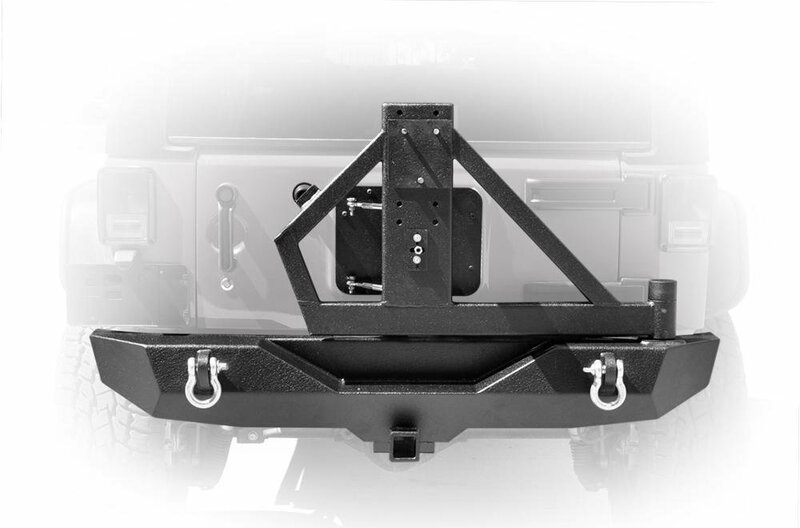 Class III integrated hitch rated for 3500lbs. Full width coverage for a heavy duty look.